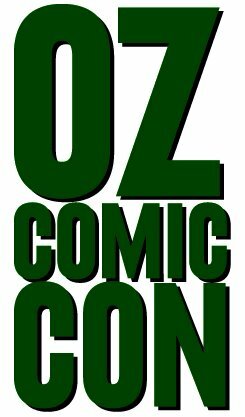 Oz Comic-Con is a fantastic pop-culture and fan expo, featuring multi-genre content from across the spectrum; from film and television stars to comic book and anime artists, gaming demonstrations and cosplay competitions, to portfolio reviews and creative workshops and master classes. It’s more than just a gathering place for fans of the various arms of pop-culture. It celebrates and educates and it’s the place to come if you want to share your love of pop-culture, get up close and personal with celebrities, enter contests with fantastic prizes, or learn how to break into the industry. There are activities and events galore, more than enough to keep you busy for a full weekend, and wanting to come back for more. 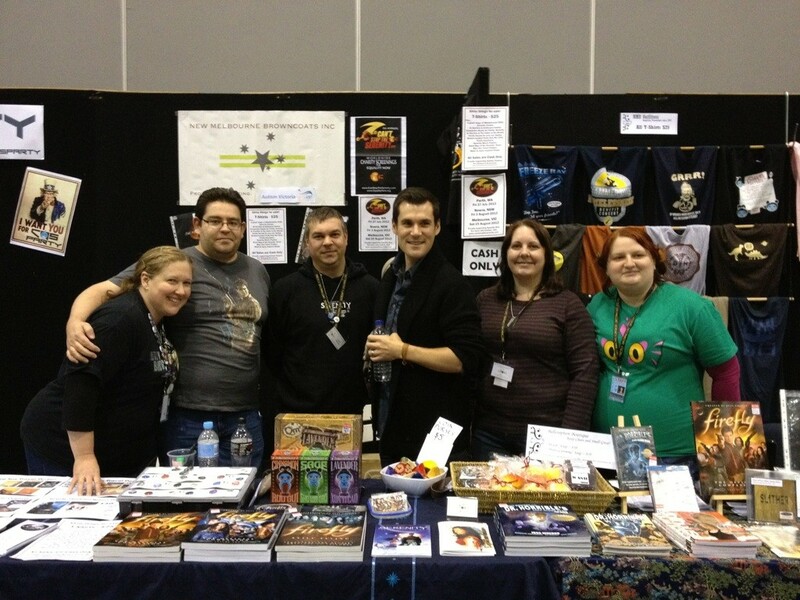 The Browncoat Charity Booth was at the Oz Comic-Con in Melbourne for the first time on 30 June-1 July 2012. Special guests included Sean Maher (Simon Tam in Firefly), Fran Kranz (Topher in Dollhouse), Julie Benz (Darla in Buffy/Angel), Jason Palmer (Artist) and Scott Allie (Editor of Buffy/Angel/Firefly comics at Dark Horse).! It was great to see so many awesome people and to chat with folk while promoting Firefly, Serenity and other Whedonverse projects, offering an awesome range of Whedonverse goodies for sale and raising money for charities.